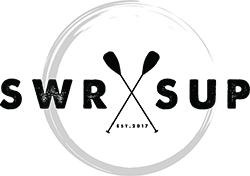 SWR SUP location. Back creek, South West Rocks. SWR SUP are located on Back Creek, South West Rocks, right next to the town centre from Horseshoe bay. Just head for the heart of South West Rocks at Horseshoe bay, then take a leisurely stroll around Point Briner on the elevated boardwalk to Back Creek, and you’ll find us there, on the beach right next to the foot bridge. Back Creek itself, is a calm, flat water creek with extraordinarily clear water. The unusual visibility often makes it possible to spot many different types of marine life while paddling a SWR SUP. Chances are you will get to see our Blue Spotted Lagoon Rays, large schools of Bream and with a keen enough eye, you’ll see Flatheads hiding in the sand. Back Creek South West Rocks is a stunning location to enjoy Stand up Paddle boarding. It’s an experience you won’t want to miss while exploring the surrounding natural beauty that is South West Rocks.